Zoning on Maui seems to be like the weather. You can’t really do much about it, and everyone has an opinion. 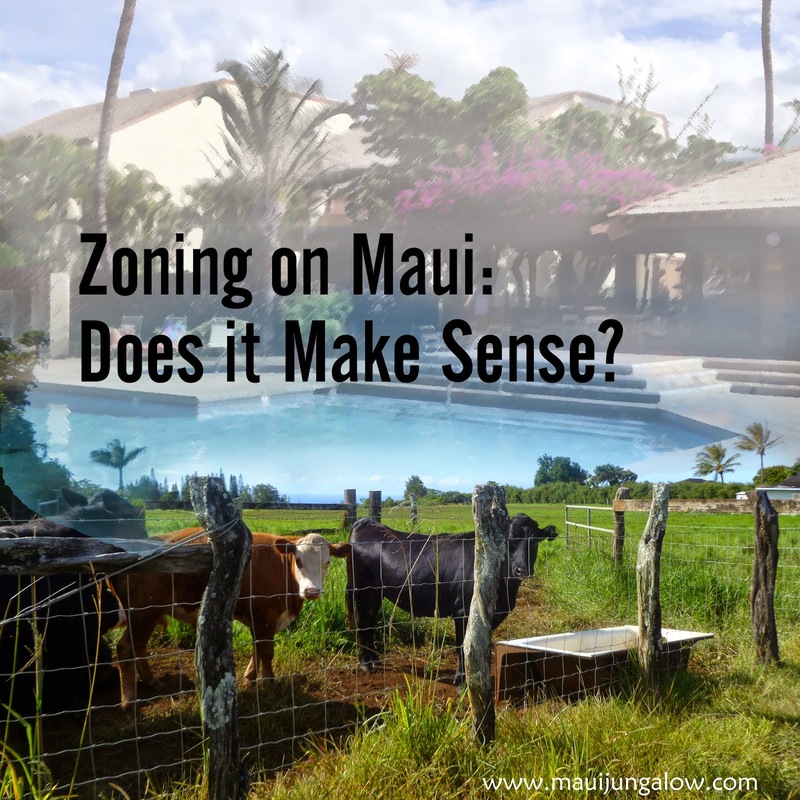 Zoning underpins Maui real estate, affecting what one can and can’t do with a given parcel of land. I’m no expert on real estate, but here’s my stab at MSU (making stuff up)*, because this is my letter Z post for the A to Z Challenge. Rural - usually "rural half acre"
Maui doesn’t have the classic four seasons of winter, spring, summer and fall, but we have subtle, seasonal changes. 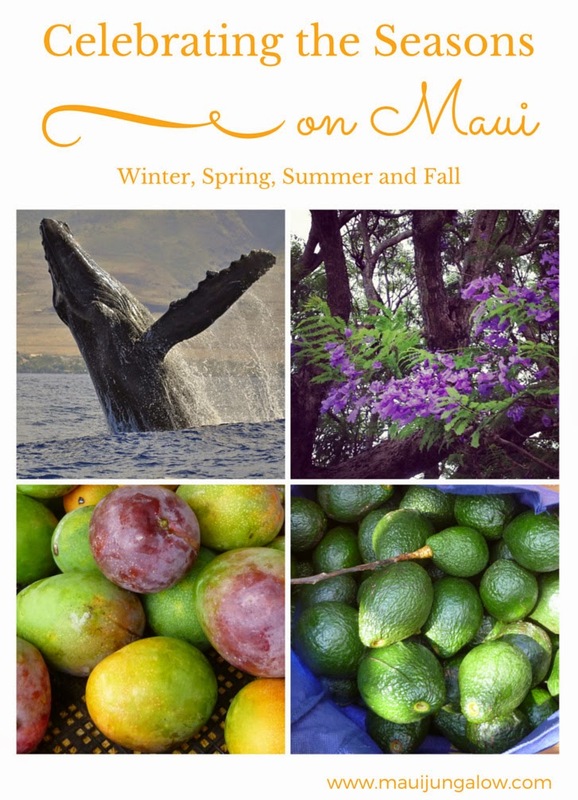 Newcomers to Maui may miss the four seasons, but if they pay attention to the cycles of the island, they will notice changes during the year. The ancient Hawaiians were so observant that they developed a moon calendar based on the cycles of the moon during the year and the changes in nature that corresponded to each cycle. Note: This is my gimmicky X post for the A to Z Challenge – I can’t think of a good X word that fits my particular theme, which is Living on Maui: A Beginner’s Survival Guide. In the ten years that I’ve lived here, many of my friends have moved. It happens over and over again. I can probably think of dozens of people who have moved away. 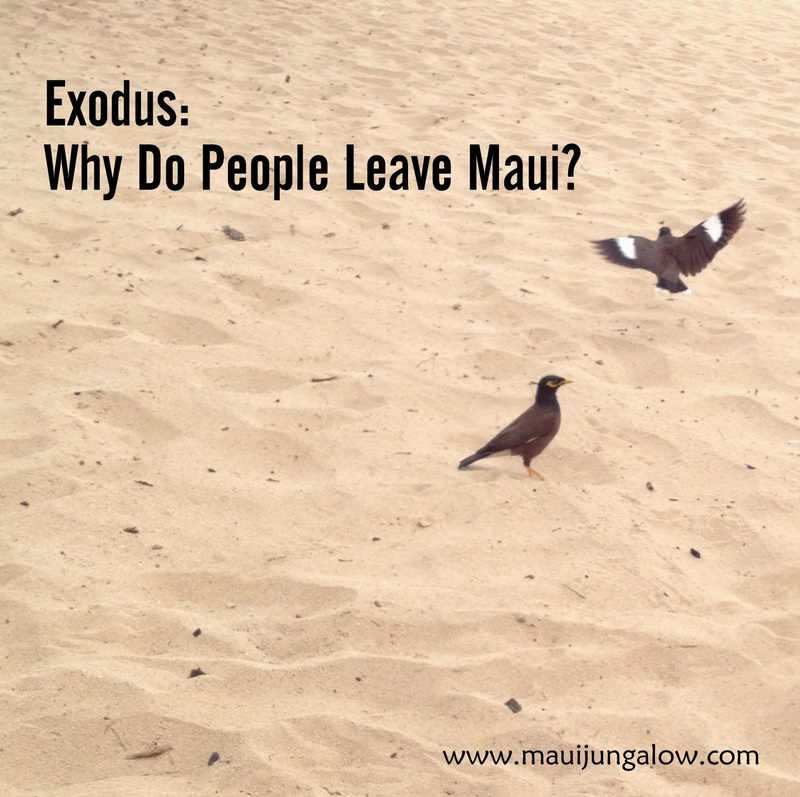 Interestingly enough, a few people moved to Maui, then moved away for whatever reasons, and moved back here again. A couple of them are still here and a few moved away again. It makes me a little dizzy thinking about it. How can Maui have a shortage of fresh water? As I write this, the rain is coming down in thick, glorious sheets, cooling the air after a muggy, voggy day. It doesn’t make sense that there’s not enough water for the island, that people wait for years, even decades to get a water meter for their house, and that Hawaiian farmers do not have enough water to grow taro, when parts of Maui are considered among the wettest places in the world. is perfect to describe Maui's crazy fresh water shortage. In a way, it’s like the problem of world hunger – there’s enough food to feed the world’s population, but the problem is distribution. Vog stands for volcanic fog and in recent years, the vog coming from the volcanoes on the Big Island has been much more intense. The winds coming from the southeast, from the Big Island, bring in volcanic gases and dust that make Maui residents crazy. No alteration to photo except for a white vignette. If hobbits lived on Maui, they’d live Upcountry. Hobbits like warm, comfortable houses, with good food, beautiful gardens and a warm fireplace. They don't rush about unless they must and would rather stay at home. You can live like a hobbit Upcountry. Upcountry is a very literal term, like upland. Up, meaning higher in elevation, and country, meaning out in the country. Upcountry is a state of mind, as much as a place. But it’s a place with fuzzy edges. Nestled on the slopes of Haleakala Crater, Upcountry includes Kula, Ulupalakua, Pukalani, Hali’imaile, Makawao, Olinda, and parts of Haiku and Paia. Some people might not consider inland areas of Haiku or Paia as Upcountry, but the further one gets from the shore, the hillier and cooler it gets. and where hobbits would live. Upcountry serves as an anchor. While Maui is changing through construction, tourism, and newcomers, especially along the shore lines, Upcountry is resistant to change. The fact that there is no public road from anywhere along the busy South Shore of Maui directly up the hill to Ulupalakua is a testament to the resistance to development. Roads eventually mean houses, traffic, and less open space. View towards South Maui from Ulupalakua. For those not familiar with Maui, Upcountry conveys images of ranches, rolling hills, forests, eucalyptus trees, purple jacaranda trees blooming in the spring, persimmon orchards, paniolos – our term for cowboys, rodeos, goats, cows, pasture land, horses, Maui polo, small farms, exotic protea flowers, lavender fields, estates, and even a winery! The Upcountry Farmers Market is considered by many to be the best farmers market on Maui. Spring is jacaranda season in Upcountry Maui. Upcountry is pastoral with beautiful mountain to ocean views, stretching from shore to shore. People who wander Upcountry for the first time often look stoned in appreciation of the view, or express a sudden desire to paint. Sunsets are also incredible Upcountry. Upcountry is cooler than the rest of Maui. During the winter months, temperatures can dip into the 50s or even lower at night! Erik Blair's Facebook post about 39 degree weather on Maui. Upcountry is also the favorite place for people in Kihei (Maui's South Shore) to dump wild chickens and roosters. They figure there are already so many feral chickens Upcountry, what's another dozen? Upcountry residents seem to value tradition and respect. You might see a bumper sticker that says “Respect the culture.” While it could belong to anyone living anywhere on Maui, it feels especially true of Upcountry. I also suspect that typical Upcountry residents are more stubborn than the rest of us, and more reserved. West Maui and the island of Molokai. If you are participating in the Ato Z Challenge, please use either Disqus or Facebook to comment below. Please include your link so that I can visit you back, but it might be as late as May! Hawaii is a taxeriffic state. A word that I just made up. You may have heard of those Caribbean islands which are offshore tax havens. Hawaii’s just the opposite of that. If there’s a tax, it exists in Hawaii. If it’s a tax that doesn’t exist yet, Hawaii will think of it. 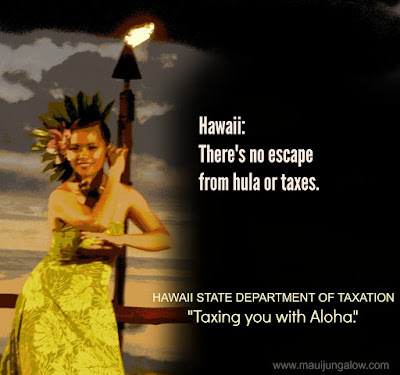 "Taxing You With Aloha" should be the motto of the Hawaii Department of Taxation. Hawaii’s taxes include: state sales tax, income tax, transient accommodations tax, general excise tax (GET), fuel tax, liquor tax, vehicle weight tax, and real property tax. There are also taxes on utility companies which probably contribute to the high electric costs on Maui. State income tax: Hawaii can hit you up for as much as 11% of your net earnings. The standard deduction in Hawaii is so small ($2000-4000) compared to the federal standard deduction ($6000-$12000), that it’s better to itemize deductions if you can keep good records. 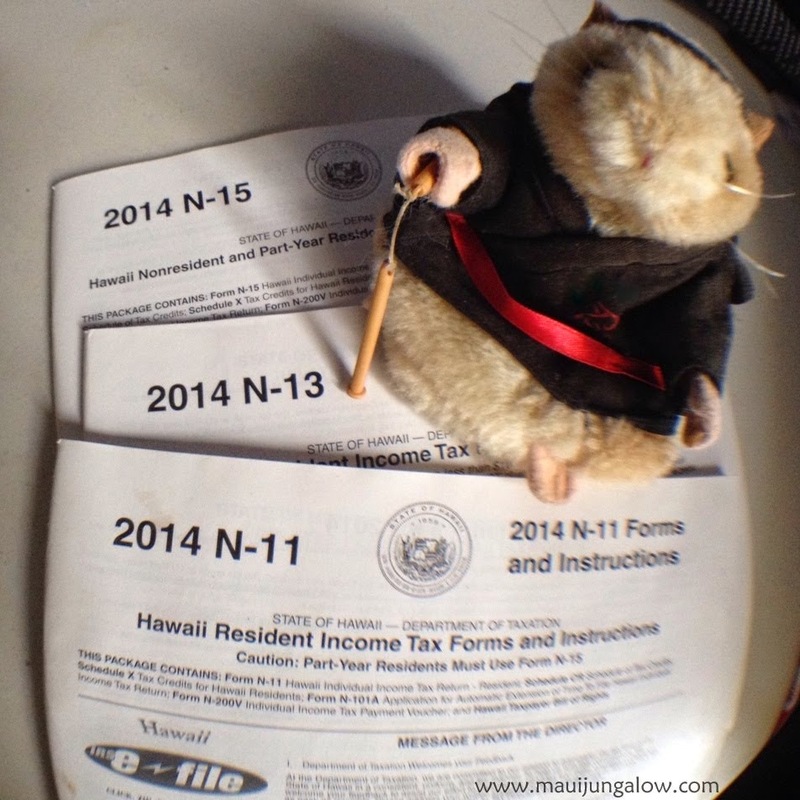 Ninja Rat works for the Hawaii Department of Taxation. Watch out for those nunchucks! True Story: When my mother passed away, I had to do her taxes. DH and I called the Hawaii Department of Taxation the same way one can call the IRS, to ask a question about the tax return. The tax agent confirmed that yes, we could take a particular tax credit. After we filed the taxes, the state sent us a letter saying we had made a mistake, and needed to send in some taxes and also pay a fine! When we talked with the state again and told them the name of the agent who had given the incorrect information to us, they said it didn’t count. In short: it doesn’t matter what the Hawaii tax agent tells you. They can interpret your taxes any way they wish. Unlike with the IRS, the matter is not up for discussion. Transient Accommodations Tax: Hawaii knows that tourists love to come to Hawaii and need a place to sleep. It’s basically a hotel or vacation rental tax, at about 9.25% in addition to the sales tax. Time shares are taxed at a different rate. Side note 2: AirBnB has become very popular in Hawaii. It allows individuals who are not otherwise in the vacation rental business to rent lodging in their home. Many individuals do not officially pay the TAT to the state. The State wants this tax revenue. Property Tax: Varies based on zoning. Vehicle Weight Tax: The heavier your car or truck is, the more it costs to register it each year. General Excise Tax: A tax on business and self-employed persons. For example, if you charge a service for a business as an independent contractor, if you sell items wholesale to a business, or if you are a landlord and collect rent, you have to collect a 4% tax. Some people who start a business forget to pay their GET (much less collect GET) their first year and get a BIG shock when they have to file their taxes. If you are fascinated by taxes, you might enjoy visiting the Tax Foundation of Hawaii. Their site is pretty easy to follow, even for tax-challenged people. By the way, April is also when the County of Maui reviews its fiscal budget and asks for community input on raising taxes or spending tax money. 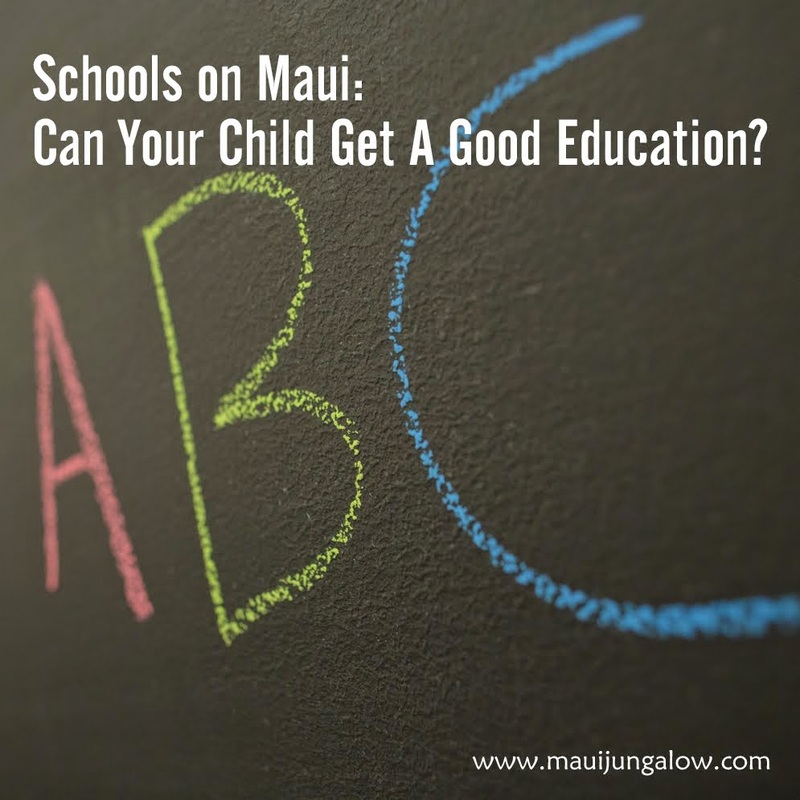 Schools on Maui – Can Your Children Get a Good Education? Public schools on Maui are not known for their outstanding academic caliber. (Sorry Maui!) Schooling can be the trigger that causes some families to leave the island. They don’t want their children in public schools but they can’t afford private school tuition. Public schools can also be difficult for some Caucasian or haole children who are not born on Maui. Schools can be places where kids are picked on for being different or from the mainland (what we call the continental US), especially if the children have a lighter hair color. There is an element of reverse racism in the islands, which is exacerbated if your kids are pushy (trying to boss others), don’t play well with others, or are super sensitive. If they cringe when they hear the word haole, public school is not a good bet. A hybrid is Kihei Public Charter School, a public school that functions kind of like a private school for elementary, intermediate and high school. Parents are expected to be highly involved with the school. Another innovation is Hawaiian Language Immersion Schools, at three schools on Maui. Some parents choose to send their children to public schools initially because there are some quality elementary schools on Maui, and then put them in private school when they get older. All of my friends like the public elementary school in my district. True Story: A friend who was born and raised on Maui attended two public elementary schools, then a private school that she didn’t like, a public intermediate or middle school where she had lots of friends, then a private religious school where she was considered "behind," a private high school where she was considered even more behind because she didn’t memorize all the saints (unlike her classmates), a public high school for about a year where she had a horrible math teacher, then quit and got her GED at age 15. By the way, she is also Caucasian or haole. Also, in case you're wondering - did she turn out ok? Yes, she is a competent adult, who is smart, good-hearted, well-balanced, has her own home (and mortgage) and is attending college. My story: I went to public school on Oahu. Some classes and teachers were great. Other classes not so much. The weakest department was science. I was good at school, so I got accepted into a good college and received AP credit for English, History, and Calculus. It is possible to get a decent education in Hawaii’s public schools, but certain college classes were rough for me. (I suspect this is true for most public school students anywhere.) I have managed life somehow without knowing all the names of the saints. Other parents choose private school from the beginning. Please feel free to SKIM and jump to the bottom unless you’re very interested. Haleakala Waldorf School – For parents who love Rudolf Steiner’s teaching and life philosophy. The campus is located in Kula, in upcountry Maui, and offers K-12. The high school campus opened a year or two ago at the Hui No’eau Art Visual Arts Center. (I’ve heard that Waldorf does not push reading until they feel the child is ready.) It’s a pretty tight knit community of parents, staff and graduates. Montessori School – For parents who prefer Maria Montessori’s educational philosophy. The campus is located in Makawao, a little closer to “town” and teaches only up through intermediate school. This is another close-knit community of teachers, parents, and graduates. I know a lot of people are happy with the Montessori School and a friend worked there as a teacher until she moved to the mainland. Montessori Hale O Keiki - Not affiliated with the other Montessori School. In Kihei. Preschool, Elementary and Middle School. Carden Academy – Elementary and Middle School. One friend’s daughter seems to be doing well here. Kamehameha School, Maui Campus – Intended for children of native Hawaiian ancestry, though I believe they have allowed a few children with no Hawaiian blood whatsoever due to a court case. They are funded by a special foundation so the campus is large and extensive, and covers K-12. I believe tuition costs are very low for qualifying children. Competitive admissions. Seabury Hall – Middle and High School, based in Makawao, Upcountry Maui. This is Maui’s elite private school. Education is considered top notch. Students from Montessori and Waldorf School try to go here. Admissions are competitive. Clearview Christian Girls School – Kula, Upcountry. One friend’s daughter seems to be doing well here. For girls only. Christian focus. Intermediate School. Upcountry Academy - Upcountry. Coed private religious high school. Affiliated with Clearview Christian School. Doris Todd Christian Academy – Paia, but inland. One friend graduated here and she said the education was more rigorous than public school. Christian education. Emmanuel Lutheran School – Central Maui. Preschool, K-8. Religious focus. St. Anthony’s Junior-Senior School – Central Maui. Upper grade levels. Religious focus. St. Anthony’s Grade School – Central Maui. Affiliated with St. Anthony's Junior-Senior School. Horizons School – Kihei. Primarily for children with special needs. Roots School Maui – Haiku. Experiential learning, Preschool and K-8. Maui Preparatory Academy – Preschool, K-12 on the West Side. St. Joseph's School Early Learning Center - Makawao, Upcountry. Preschool to age 6. Living Compass Maui School - Haiku. Experiential learning based on nature. Preschool to age 12. Hawaii Technology Academy - An accredited public charter school, K-12, with learning centers in Pukalani, Kahului and Kahana. Yet another option is homeschooling, which is very possible because of the internet. If you can’t teach math, your child can learn via Khan Academy on Youtube. For higher education, there is the University of Hawaii, Maui Campus. *Mahalo to Hawaii Life for a recent post on Private Schools on Maui. Maui’s a surprisingly dirty place to live. I wish I had a cleaner on retainer who would come by every day or at least every week to help keep my house clean. Our dirt is red, the kind of red that stains sheets, towels, and anything white. One owner of a vacation rental says she has given up on white bath towels, and now uses coral bath towels which don't show the dirt. There is even a red dirt shirt company which stains its T-shirts with Hawaiian red dirt. A friend who works at a car dealership says, they have to clean the cars constantly! He’s worked on car dealerships on four Hawaiian Islands and Maui requires the most cleaning. I have to agree with them. I have never had to wash my car so often in my life. I even wax it weekly to keep the dirt and pollen from staining the car. Tourists on vacation often complain to me of dirt on the patio (what we call the lanai) or dirt on the deck chairs, or dust here and there. The dust and dirt can come from sugar cane burning or from strong winds. Even if it was clean the day before arrival, the wind can trash a deck the next day. The wind, which is very strong on Maui, blows red dirt from agricultural fields, construction sites, or wherever red dirt is exposed all over the island. The wind also blows dust, pollen, construction dust and any particles in the air so they land on cars, windows, houses, ceiling fans…North Kihei is especially prone to more red dirt because of the prevailing wind direction. Martha Stewart has housekeeping advice for window screens - clean them maybe every 4 months. Gasp! On Maui, I have to clean them every few days or even more frequently. Our window screens look like zombie fuzz if left alone too long. I have two vacuum cleaners, which seems crazy for such a small house! One is for my home office and I vacuum under the desk, around the computer, on the desk, because there is a daily dirt buildup. I’m not even a neat fanatic. You’ll know if you ever visit me. The other vacuum is for the rest of the house, which is under 700 square feet. If I do not wipe the top of the toilet tank daily, there is a film of dust on it. There is a layer of dust every night on all horizontal surfaces, and I think the dust gremlins love Maui. I wish I was a better housekeeper, but it's an ongoing effort. Another friend says she could easily dust three times a day! General entropy from things falling apart. Like rubber bands will disintegrate and leave sticky gooey residue. By the way, cleaners are always in demand on Maui. Cleaners can charge at least $20/hour. More efficient and skilled cleaners can charge $25-$30/hour. Here's a shortcut to the archives for the A to Z Challenge and other blog posts. 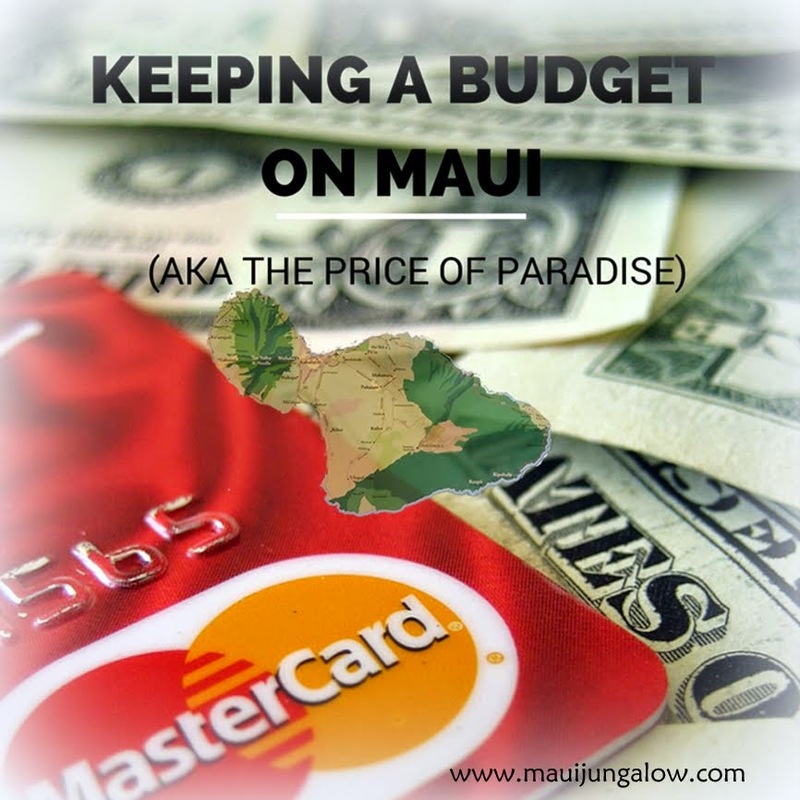 I could have also written about Rent or Real Estate but have touched on those topics in Ohanas and Other Rental Experiences and Housing on Maui Can Make You Cry. If you live in Hawaii, quarantine may not affect you too much. But if you want to move to Hawaii or vacation with your pet in Waikiki, you will hit your head on the big rock wall called Quarantine. Hawaii has no cases of rabies and wants to keep it that way by quarantining all our furry friends. Also, all insects, animals and other living matter (plants, flowers, seeds, etc.) must be declared when entering the state, kind of like a customs declaration. I've decided to write about Hawaii's agricultural import laws in a future post, and focus only on quarantine. For pet owners, quarantine is a challenge that has become so much easier in recent years. In the old days, quarantine took 90 days! My two cats had to be quarantined for 3 months. I don’t have the records of the airline flight costs, the veterinary bills and the quarantine bills, but it was easily over $2000. Once a week, my boyfriend and I drove to Halawa to visit our jailed cats. Halawa also has a correctional facility for humans, so it always felt like a visit to the prison. In the old days, if you were moving to a neighbor island, instead of the main island of Oahu, your pets were still quarantined on Oahu, so unless you had lots of money to fly back and forth, you couldn’t visit them very often. Nowadays, quarantine laws have reduced the time to about 5 days. Lots of preparation still has to be made ahead of time, vet visits, shots, forms, and tickets for your pets. A friend of mine who was thinking of housesitting for us wanted to bring her dog on vacation. Some people don’t want to travel without their pets, and she claimed this dog was a service dog. Nowadays, I’ve heard people try to claim any dog as a service dog, even if the dog is blind and deaf. The long answer is yes, you can bring your dog or cat with you on vacation, IF you have lots of money, prepare in advance, and can find a place that will house your pet. GOOD LUCK! "Service dogs are NOT exempt from HI quarantine laws. Although, service dogs are exempt from airlines who say they will not bring general dogs into HI. If an airline accepts an animal that does not met all the HI import requirements, the airlines is fined $5K so some airlines will try and refuse dogs. Bringing dogs into Hawaii have two parts with different requirements and fees (HI Agricultural and individual airlines) besides working with vets and their costs at each side (except no extra vet charge if going directly to the Oahu Main Ag Station). The first time is fairly expensive and then you go on a 3 year “re-entry program” like I do which brings the annual travel cost down. To bring a dog over for one vacation is hardly worth the expense and trouble unless you have lots of time and money or are blind, deaf, or have seizures and truly need that service dog. Your friend or their vet will be looking at the “5 day or less program.” http://hawaii.gov/hdoa/ai/aqs/info. Then call the airlines for their requirements and costs. Basically the vet draws blood to test rabies titer levels following the correct vaccine protocol which must be received by the testing lab 4 months prior to travel. The results are sent directly to the HI Agricultural quarantine office. Import documents with fees are mailed within another time frame to HI. Then within 10 days of travel to or from you have to get a vet issued State Health Certificate. If you are flying directly to an island other than Oahu, (like I do when flying to Maui) you are required to have a vet meet the dog and do an exam (this is another first time fee, discounted on other trips). With all that done in advance and paid for, it only takes about an hour to go through quarantine once you and the dog land." Here's another helpful and informative quarantine post by the Betsills. Pakalolo is the Hawaiian word for marijuana. Lolo means crazy and paka I believe is tobacco. Even though pakalolo isn’t one of the plants that the native Hawaiians brought by canoe when they migrated across the Pacific, it’s a plant that has become part of Hawaiian and local culture. If the seafaring Hawaiians had pakalolo on their canoes, they might not have made it across the ocean, and would have succumbed to serious munchies on the way. along the Hana Highway. Paia is kind of like Humboldt County in California. Smoking pot is an acceptable part of the culture here. It shows up at parties, on certain beaches, and in backyards. If you look like a tourist and have a pony tail, sometimes pot sellers will approach you in Lahaina. It always surprises me who smokes pot here. Sometimes it’s the most straight-laced people who throw pot parties. You can live on Maui and be oblivious to all the bad things in the world: the situation in the Middle East, Ferguson, and the latest outbreak of Ebola. You can even overcome your fear of sharks, though my mother was terribly affected by the Jaws movies and called me every time there was a shark incident on the news. Does anything bad happen on Maui? Like really bad. Like a major disaster, an act of God? In California, there is the danger of earthquakes and forest fires. In Texas, there are tornados. In Florida, there are hurricanes. · Hurricanes – Our hurricane season is from April to November. Hurricanes are always a real danger, though last year’s hurricane warnings turned out to be fluff. We’ve lucked out for decades but when a hurricane hits, the losses are devastating. · Tsunamis – If Japan, South America or the West Coast has an earthquake, we could get a tsunami. 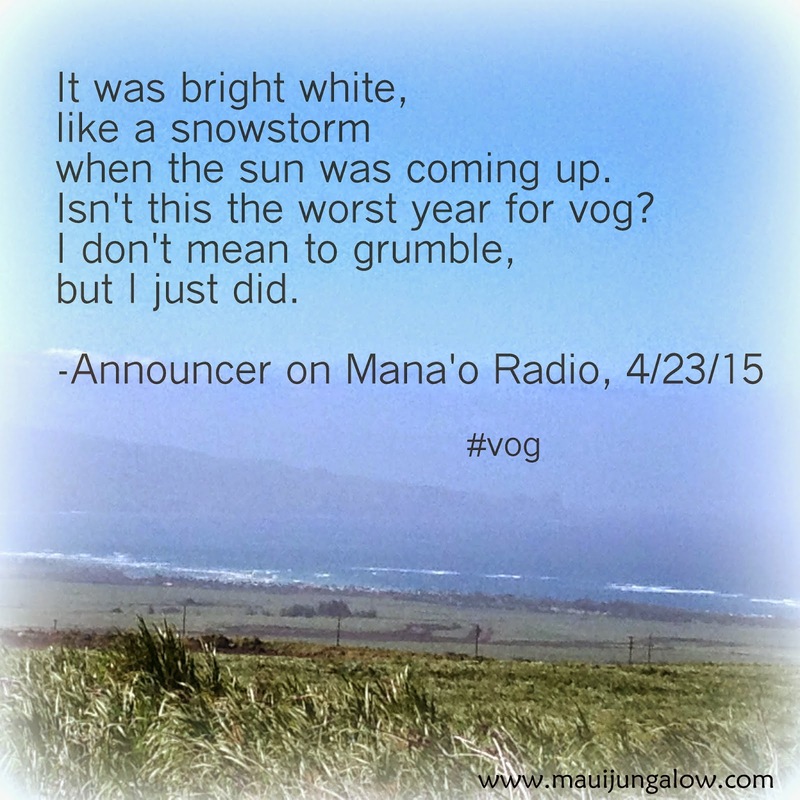 · Earthquakes – We actually had one on Maui a few years ago, and the Big Island had one recently. It was about a 4 on the Richter scale. · Wildfires – Not too common because half the island seems perpetually wet, but possible in isolated areas. Mostly from dumb teenagers doing dumb teenage stuff. · Flash floods – This is a real danger during rainy season. One year, several homes were washed away. Cars sometimes try to cross a rapidly moving stream and people drown. · Lava flow – Not likely on Maui, though it’s a real threat on the Big Island. · Windstorms – We had some intense winds in February which cause trees to fall on houses and other kinds of damage. · The Little Red Fire Ant – This imported species snuck into Hawaii from some plants in Florida and has been creating a lot of havoc. Major outbreaks have occurred on the Big Island, with devastating agricultural losses. It has been spotted on Maui. Its bites are so hurtful that it can cause blindness in dogs and cats, and can make going outside painful for humans. In case you are feeling too happy, you can reread this list at your leisure and think of doomsday scenarios. If you tilt your head to the left and look at a map of Maui, the island is shaped like a bust of a statue. The “head” is the left side of the island and the chest is the right side of the island. Once upon a time, the island of Maui was two separate islands. The waterway was filled between them to create one land mass. 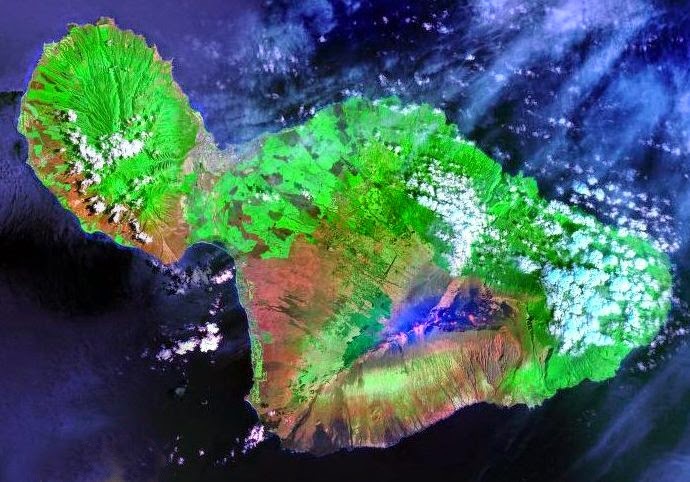 Maui Landsat Photo. Licensed under Public Domain via Wikimedia Commons. Doesn't Maui look like a person bending over a shoe? 2. No one uses highway numbers except tourists. Saying Highway 36 or Highway 30 marks you as a tourist. Also, even though there are only a few highways on the whole island, no resident can remember any of the highway numbers except for hotel concierge or car rental staff. 3. Using compass directions like north, south, east and west when giving directions* is also a dead giveaway that you are a tourist. We tend to use directions in terms of places. “Drive towards Kahului” (if you’re in Paia) is like saying go west. 4. Just because the smart phone shows there is a road doesn’t mean there is really a road, or it could be a private road with a locked gate. Also when smart phones give wrong directions, they are really, really wrong. Did you hear about the four kids who drove into the ocean because their smart phone directions told them to? 5. Don’t ask for help finding a street that begins with M, or L, or K… because they all do! The Hawaiian alphabet has fewer letters than English does, so many streets sound the same or start with the same letter. 6. Learn what north, south, east, and west mean for the different areas of Maui. It is like a trick test question, guaranteed to trip up any newcomer. Hana is located on the east side of Maui. Kihei is located on the south side of Maui, even though it’s facing west! Lahaina and Ka’anapali are considered the “West Side” of Maui NOT the north side, even though they are located in the north. Paia, Spreckelsville and part of Haiku are considered the “North Shore” of Maui. The real south side of Maui on the map is called the “Backside” of Maui. Looks like a crazy doodle. 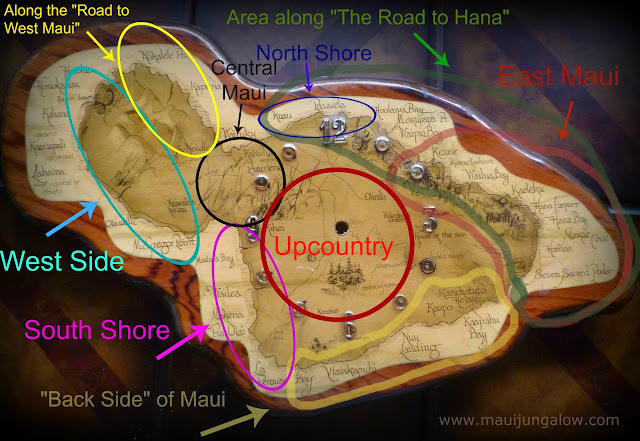 My map of Maui with regions highlighted: Upcountry, Back Side, South Shore, West Side, Central Maui, North Shore, East Maui, Areas along "The Road to Hana" and along the "Road to West Maui." 7. Learn to use the Hawaiian terms mauka and makai when giving or receiving directions on an island. These terms are used throughout Hawaii. Makai could mean left or right depending on how you’re coming, but it will always be the side closer to the ocean. Mauka and makai are very sneaky terms, since they sound similar. One trick to remember the difference is using a mnemonic. Makai rhymes with “aye” which is what sailors say. Sailors sail on the ocean and say aye, so you know that makai means towards the ocean. There's so much more I want to share about the map, but it'll have to wait for another time!